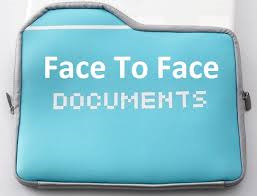 Recently two of the CMS contractors a have announced widespread audits of home health providers with a key focus on compliance with the face-to-face (F2F) encounter documentation requirements. The documentation requirements have become more stringent recently with contractors now expecting physicians to write detailed descriptions of the patients condition in order to support the need for skilled services and homebound status. NAHC has heard that one contractor has denied 399 claims out of 801 within an 11-day period related to the revised guidelines for the F2F documentation. NAHC once again needs to present the case to CMS that home care agencies are in an untenable position with the more stringent F2F requirement guidelines. Before making such a case, however, NAHC needs to gather solid data to present to the regulators. NAHC has developed a survey with specific questions regarding the number and reasons for F2F denials, and asks its members to take a few moments to offer their insight. The following survey should only take a few minutes to complete and will provide us with valuable information. Please click here to access the survey. Your feedback is very important. Last week, NAHC Report announced that several Members of Congress circulated a Dear Colleague letter and a draft sign-on letter to CMS regarding the Medicare home health face-to-face (F2F) physician encounter requirements that continue to be a burden for home health providers. Every member of the House of Representatives received copies of the Dear Colleague and draft CMS letter seeking relief from the onerous F2F documentation requirements, which was sent by sent by Representatives Tom Reed (R-NY), Paul Tonko (D-NY), Chris Smith (R-NJ), and Robert Andrews (D-NJ). Congratulations to NAHC members in New York, New Jersey, Pennsylvania, Connecticut, California, New Mexico, and Indiana for getting one or more of your House delegation to sign onto the letter. A special thank you goes out to New York and New Jersey NAHC members who initiated this sign on letter. To view the sign-on letter please click here. The deadline for getting Members of Congress to sign-on to the letter has been extended to next Friday, August 9. It is important that NAHC members keep up the effort to get more Representatives to sign the letter.